Hang about. I may have given away the punchline in the headline, and now there’s not much more to say. In messing with the device I swapped out the Max interface objects for live. * ones so presets can be saved in the Live library. 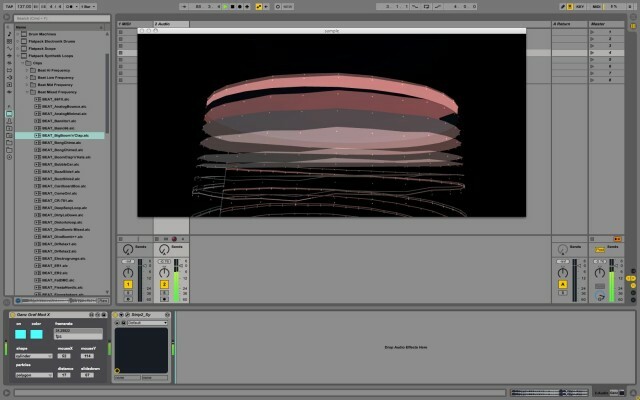 This is a simple patch really but great fun to create audio reactive visuals to your music. When I get some time I’ll keep modding and adding features to this one, including child devices to put on different tracks to send different data sources in to change different aspects of what gets rendered.